Sterilizing tray for Ocular Indirect Ophthalmoscopy lenses. It makes ethylene oxide and cold sterilization of lenses quick and easy. This stackable, durable tray gently holds lenses to protect them during sterilization. 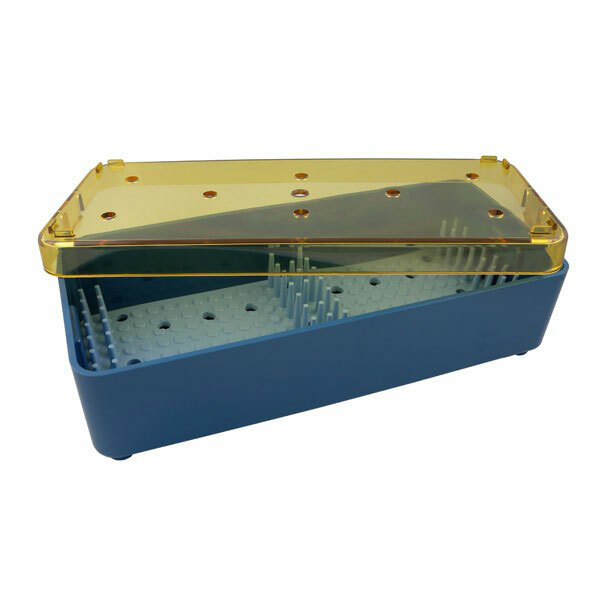 Blue case with fingers and transparent yellow lid. Measures 6.25" L x 2.75" W x 1.6" D. Manufactured by Ocular.